This opportunity has now expired…watch this space for more news soon! 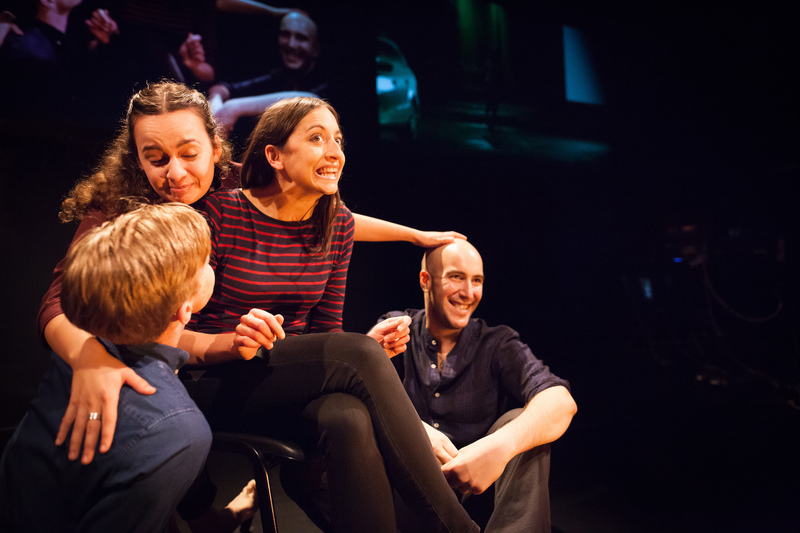 Are you a theatre or performance maker with an early stage idea for a new piece of work? Would you benefit from the opportunity to develop your idea amongst a supportive community of artists and try out a first draft with an audience? Would you like to open up a conversation with an audience at an early stage of your piece’s journey? Upstart Theatre is commissioning theatre artists and companies to create original, in-development pieces of performance for DARE Festival 2018, to be performed at Shoreditch Town Hall between 25-27 October 2018. Now in its third year, DARE is a festival of new and in-development theatre and performance exploring the borders between theatre, politics and conversation. If theatre were a music festival, DARE would be its new bands tent – a raucous, unpredictable and joyous place to explore the biggest questions facing us right now. 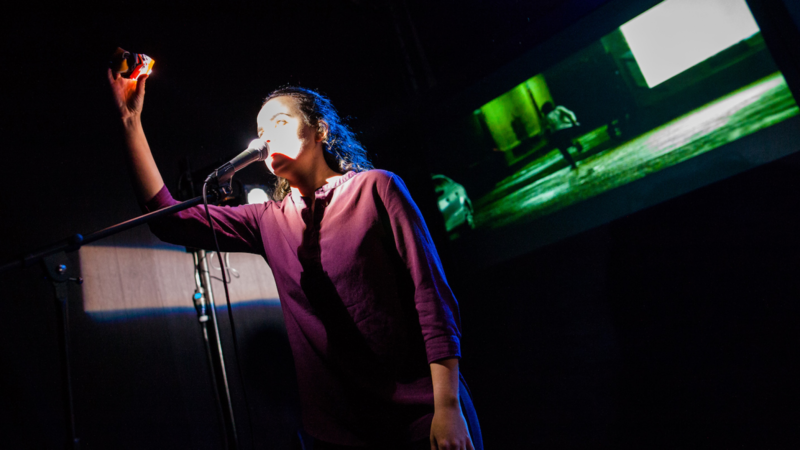 Presented by the innovative Upstart Theatre in Shoreditch Town Hall’s iconic basement space, the Ditch, DARE Festival brings together theatre, installations and discussions to kickstart conversations between artists and audiences. creating a space in which artists and audiences can come together as members of one community. We’re looking for artists, companies and community theatre companies to create a first draft of a new work of theatre or performance with a playing time of up to 30 minutes. This work will be underpinned by a question that you are asking of yourself and the world around you, that you think is important and engages with the idea of power. You must be available to take part in peer workshops with other commissioned artists to share your progress, and to give and receive feedback on the following dates: 1 September, 29 September and 20 October. You must be available all day on the Festival dates, 25-27 October 2018, and for technical and dress rehearsals on 23 and 24 October. A seed commission of £500. 2 performances in a 60 seat space at Shoreditch Town Hall, technically equipped while retaining all of the atmosphere of an underground, found space. Artistic support from the Upstart Theatre team. Peer support from the DARE artist community, including workshops and the potential for closer collaboration. Free access to all DARE Festival events. Support in preparing match funding applications to Arts Council England. Please note: Upstart Theatre will produce DARE Festival and will offer additional production support where possible but you are responsible for producing your own piece. Who are you and why do you make theatre or performance? What’s your idea for DARE? What question underpins the work or how does it engage with the idea of power? Why would you like to test a first draft with a live audience? The deadline for applications is 11.55pm, Thursday 28 June. Shortlisted applicants will be invited to attend a workshop on Sunday 8th July in London. As the lead artist and applicant, you must be available to attend this workshop. You can bring one other collaborator if you would like to. We will respond to all applications and endeavor to let you know if you have been shortlisted by Wednesday 4th July. It is important to us that the people making work at DARE Festival are representative of the city that we live in. We strongly encourage applications from Black and Minority Ethnic artists. We strongly encourage applications from Disabled artists. DARE Festival is supported by Cockayne – Grants for the Arts and the London Community Foundation. Looking for inspiration? Here’s a video from last year’s DARE Festival.